Can the year when you were born to influence your success in life? If you have an IQ of 130, do you have the same chance of winning a Noble prize as one with 200? Does your cultural background really matter to achieve success? An outlier, in the end, is not an outlier at all. How to reach the top? Our Outliers Summary will give you the hint on that one. Be a hard-worker; practice more and more –be at the right place at the right time. We put all critical elements in a nutshell and present it in this comprehensive book summary! 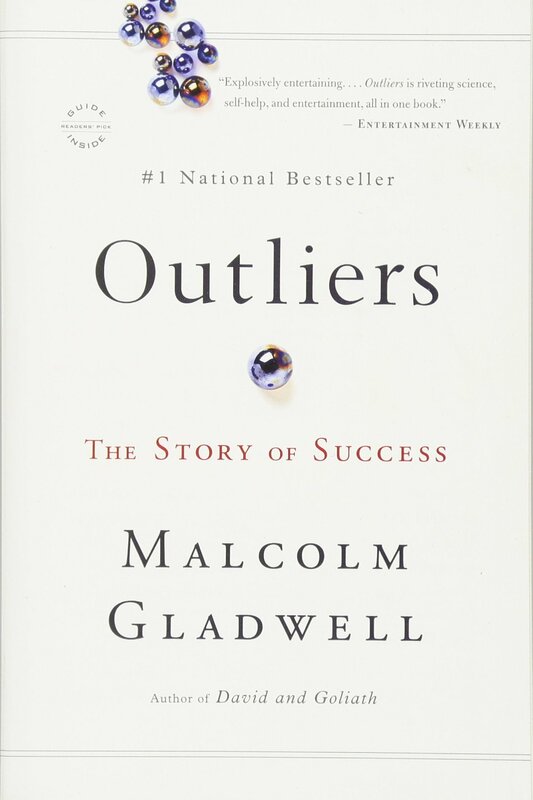 Who Should Read “Outliers”? And Why? If you want to inform people about the essential elements of success, you should study their cultural views and understand their perspective. The whining and complaining attitude will get you nowhere. According to Malcolm, you must take every opportunity that comes your way, because there are no mistakes only lessons. As a book intended for everyone, it gives you simplicity and wisdom; knowledge and principles; it’s up to you. Malcolm Gladwell is an English-born writer, journalist, columnist, motivator and a well-renowned speaker who currently writes for The New Yorker. He was born on September 3, 1963, in Fareham, Hampshire in the UK. At the age of 6 Malcolm alongside his parents moved to Canada. He declared that his mother was his perfect role model for starting a career as a writer. 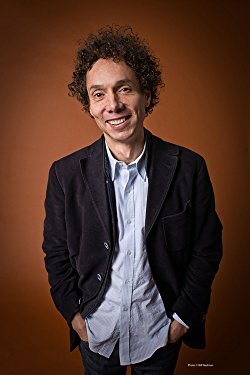 To this day, Malcolm Gladwell has written five books: The Tipping Point; Outliers; What the Dog Saw: And Other Adventures; Blink; David & Goliath. The people of today are troubled with one typical notion. Some may say talent, others probably claim hard work, so the exact formula is yet to be discovered. The collective opinion about the ultimate success that prevails today is based on people’s belief – hard work pays off. Numerous of people are opposing this theory because lots of individuals who worked hard didn’t succeed. So, you’ll have to find the answer to this mystery. Perhaps, talent is necessary, but it is not the crucial element. Athletes should be gifted and able to perform things that ordinary people can’t do, but they cannot put their destiny into the hands of mysterious forces. They have to be unique in their own way. 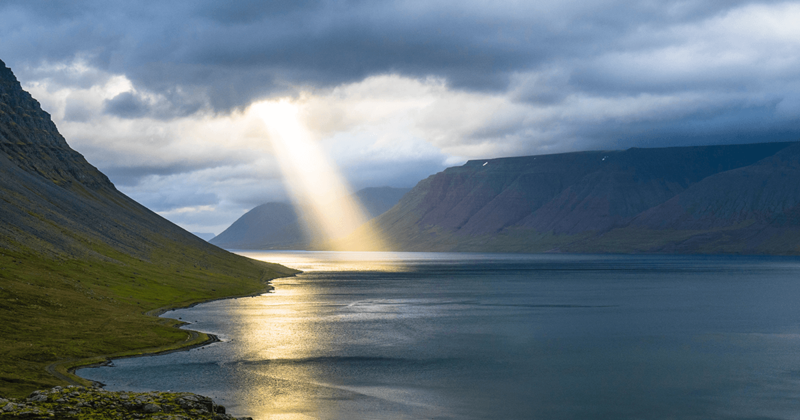 According to Malcolm Gladwell, this theory represents a comprehensive explanation of why a small percentage of successful people can cope with both personal and professional challenges and others can’t. If we sidestep other relevant factors of success, this traditional model can easily distort reality. It somehow personalizes these processes which are the embodiment of our social culture. It thus you’ll find yourself looking for talents in the wrong places. Canadian Hockey League is the perfect example. No one can deny the fact which indicates that Canadian Hockey players are superb athletes. Their stamina and talent are at the highest level possible. As a consequence of their fitness, many teens can easily turn professional. Giving everything you’ve got to reach the top is only one part of the story. The other half is more meaningful; it is what biologists call the “nature” of every living thing. It is this surreal ability of some individuals to strive for great successes and move beyond their limits. Malcolm Gladwell writing style is easy to understand, as such this book may seem like a long ride to freedom, his examples are covered and supported by facts. These examples underline one particular point; a mix of talent and hard work is the only route to glory. The book answers questions and critics. He does an excellent job when it comes to challenging present ideas of where and how success emerges, by introducing the audience to new standards capable of changing the course of prosperity. Gladwell is a detail-oriented individual, a virtue that allows him to successfully govern processes leading to ultimate success, which often happens behind closed curtains – unnoticed. There many potential paths for social change and professional advancement according to Gladwell. It is not easy to transform any person’s mindset. Nevertheless, you as a part of the whole should aspire and pursue progress. Don’t become a member of a group or an individual who overthinks everything, too many details are not helpful. This counterproductive method is used by many; it is a painful reality that we must face openly. Life throws at us many challenges; people obsessed with details will always feel trapped and unhappy. Such an adverse impact must not continue, so you have to move away from these adventitious roots. Different traditions and cultures are the embodiment of how people from different countries interpret education, work habit, and dedication. Let’s assume that you want to join the Junior Canadian Hockey League. Your goal is to become a really successful hockey player. You should also know that in Canada the eligibility cutoff for age-class is January 1st. That means that if you turn 9 on January the 2nd, you will be playing the whole year with 8-year-old colleagues. This gives you a huge advantage over your friend that will turn 9 in December, for example. You have one year advantage in physical strength, speed, accuracy and you will probably be seen as one of the “talented” ones. This gives you higher chances of being selected to play in one of the bigger teams in the region. Where the story will repeat, and you will be selected to play in the Major Junior A team. In this case, even the month you were born has a major impact on your success. The author adds it perfectly. Malcolm Gladwell spent the majority of his time analyzing and searching for theories which were a complete opposite of the collective societal opinion. He also criticized the U.S educational system, alluding to many weakness which the government just ignores. “Outliers” as the name indicates is a paranormal book according to some people, although this may seem like a negative comment – it is not. Where is the beauty of typical behavior? – We assist Gladwell in the battle against mediocracy, and you should start that fight too. In one of Gladwell’s recent speeches, he declared that – People’s opinion about success is imposed. We lack individuals; we have a society. Hard work, ambition, struggle are not the only elements of success. “Outliers” has a task to clarify this mystery by introducing the readers to lots of variable measurements of professional or personal prosperity. No one dares to admit that even the wealthy people are often depressive – so are you calling that a success? Our culture has a tremendous impact on our behavior; we mustn’t allow getting ourselves trapped in the circle of nations. 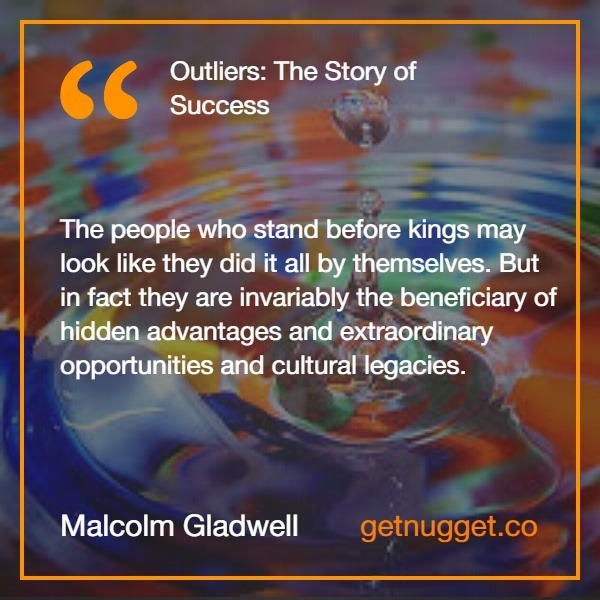 Be a person of the world – see things clearly and let Gladwell and Outliers guide you. In football is the same. If you want to reinforce this idea, just try a Google search on your national under-19 football team. Count how many players are born in the first half of the year, and how many in the second. You think that Bill Gates birth year didn’t have any influence on his success with Microsoft? By the time the computer revolution came around 1975, one should have been old enough to be part of it, but not too young to miss it. Ideally one should have been 20 or 21. The book is split into two parts. The first one is called “Opportunity”. In its chapters, it describes in more detail the previously given examples and many other. He also refers to a rule called “The 10.000-Hour Rule”. It’s the magical number that every successful person invested in achieving success. In any field, with no exception. The chapter “The trouble with the geniuses” will answer the “Why?” to the question related to the IQ from the beginning. In order for someone to achieve success, a high IQ or practical intelligence it’s not enough. There is something else called the “general intelligence”. The second part is called “Legacy”. In its chapters, the author describes why our backgrounds are important and can be a prediction of one’s success. Why coming from a Jewish family that immigrated to the USA, had a big influence on you becoming a well-known lawyer. In “Harlan, Kentucky” you will understand why traditions and attitudes, which we inherit from our forebears, can have a huge influence on success even after 100 years. The typical myth of Asians being better at solving math problems was also revealed. It all comes down to how they express numbers. Let’s think of a simple but revealing example. If in English we use eleven, twelve for 11 and 12, the Chinese use a much easier system: they transform them into ten-one, ten-two. For twenty, thirty they use two-tens, three-tens. When it comes to adding, they don’t need to make the conversion in their head from the word to a number. They have directly the number, and therefore arithmetical computations are easier. With this advantage, an Asian child of 4 years old can count to 40 already, while an American child can count only to 15. Only at age 5, he will be able to count until 40, being one year behind the Asian with the basic math skills. As it was described before, with this small advantage, he will gain more. When it comes to numbers, the Asians have a built-in advantage. Does having an American captain and crew on a flight will reduce the risk of plane crashes than having Korean pilots? Can the school summer vacation make the difference to success if you come from a wealthy family or a poor family? Being a farmer at a rice paddy gives you an advantage in achieving success than a wheat farmer? Without a doubt, the answer to all these questions should be known by now. It is Malcolm Gladwell’s “Why?” that keeps you reading and gets your attention until the last page. For decades, fierce family quarrels had an impact on Harlan County, Kentucky community. Many people testified that they’d witnessed bloodshed among close relatives. The killing became a habit, so the people wanted to enforce some laws and do something about this issue that troubled them. Facing violence openly and bravely became an integral part of Appalachian culture. The environmental upbringing plays its role in a person’s behavior. It doesn’t require anyone’s authorization to influence one’s mind. The same thing goes for social influences. The question is – How do accidents happen? Although commercial airplanes are known for its highly advanced technology and dependable machinery which cannot burst into ﬂames, sometimes disasters occur. These crashes that take place from time to time are the result of the pilot’s unintentional mistakes. Knowledge represents the doorstep to success: Only a smart person is ready for the difficulties that life unfolds. Apart from that, intelligence doesn’t have an impact on a person’s ultimate achievement as hard work does. As engaging as this book can be, Outliers has its flaws. It is interesting to witness the tackling that occurs between Gladwell and many other strong individuals who’ve tasted success without the need for his methods and techniques. You have to remain flexible; life has its mysterious ways. However, you should try Malcolm’s models because they are useful, interesting and fun. If you are a free individual, an open-minded person; this book will get the best out of you. Do you want to find out what you need to be successful? How to get in the great tycoons of history club? Become an outstanding person? Malcolm Gladwell has researched great personalities like Bill Gates, The Beatles, and Mozart, to prove that no one ‘does it alone’. For Gladwell, more important than understanding how these people are, is knowing what their culture, the time they were born, their friends and family, because all this can have an impact on the quality standard of human achievement. To achieve the level of excellence in any activity and to become highly successful, no less than 10,000 hours of practice should be required. Come with us to learn about Gladwell’s 10,000-hour rule? Many tend to believe that healthy people eat well, exercise, lead healthy lives, and have good genes. But how can a significant portion of the population be extremely healthy without paying attention to these premises? They force us to evaluate human health from a new perspective. A study in the city of Roseto in the United States has proven that a sense of community, albeit incredible, has an impact on health and well-being. The Rosetans always had an egalitarian culture, took care of each other and shared their food. There, many generations lived under the same roof, and all lived in harmony. Such a sense of community generated a great welfare in the population, and this contributed to health, even if its members did not cultivate healthy habits. Would you believe if we said that your birth month impacts your chances of success? See an example: In Canada, in the Junior Hockey League, the competition is divided by the children’s year of birth. Children born in 2006 compete only with kids born in 2006. This rule may seem fair, but if you take into account the developmental differences that can occur between a child born in January and a child born in December, the difference can be dramatic. Almost a year apart has a significant impact on the size, maturity, and skills learned. This development causes the older children to be chosen for the team, while the youngest ones of that year are on the bench. In this case, older kids are naturally exposed to greater chances of sporting success. This “injustice” can also happen in education. Programs designed for gifted children were intended to develop their capabilities beyond the ordinary and ensure their success in an environment of children with greater potential. Young people who were born at the beginning of the academic year tend to have higher chances of being chosen for these programs. Also, older students of the same age tend to learn faster and are noticed more quickly by their teachers. This advantage gives them a better chance of entering the best colleges in the United States. Your hometown, race, and social class also have a significant impact on your future. They are not decisive for success, but they generate great opportunities. In Jamaica, for example, in the 18th century, those born with lighter skin, children of white, affluent relationships with the local black population, were considered superior compared to the darker skin. This discrimination allowed many Jamaican mestizos to go to school and free themselves from slavery, while the black population remained slaves without no access to education. This discrimination has impacted all class development in Jamaica, resulting in the concentration of income in the hands of the mestizos, to the detriment of the black population. When success comes easy for someone, it is very likely that this person has had a significant component of random luck. This fate is very different from creating your success when you evaluate the opportunities and choose which ones to pursue. Random luck shuns people’s control and helps them gain better access to education, jobs, and hence success. The more time you spend in school, the more success you will have. But does the time spent studying at school and studying time at home have different impacts? Analyzing student academic results, Malcolm shows us the importance of at home studying. The more extracurricular hours of home study students have, the greater their chances of completing their colleges. If a student studies more than 12 hours a week at home, he has much higher chances and performs better than others. If he/she goes to school on Saturdays, his likelihood of success and his performance also increase dramatically. When the student spends a lot of time in school, and when he comes home he still has to study ‘outside,’ his mind is focused on passing the exams and conquer the next stages of his academic life. Also, this creates discipline and helps students achieve more than average achievement. Another interesting fact is the holiday issue. It is clear that students need to rest after a school year of many studies, but, on the other hand, studies show that the vacation period also impacts academic success. If a student coming from a richer family goes through a test shortly after the holidays, he/she tend to perform better than their less-favored peers. This difference is because students from the upper classes live different cultural experiences during the holidays, which help them acquire new knowledge and do better in the tests after the holidays. The most important thing to note is that the more time devoted to studies, the greater the student’s performance in college, regardless of social class. We tend to associate stereotypes with the place where the person was born, lived or raised. Ever heard the Portuguese joke? That’s what we mean. But it is important to analyze statistics and researchers to understand where these stereotypes come from. In the United States, there is a consensus that the southern population is more aggressive while the northern is peaceful. Indeed, when analyzing the high rates of violence-related deaths in the southern United States, it is, in fact, a more dangerous place to live. The question that emerges, then, is this: Does the Southern stereotype of aggressiveness explain this higher rate of violent deaths? In the state of Kentucky, located in the southern US in the 19th century, the settlers chose the mountains to live and build the first cities. There, families engaged in fights and quarrels over seemingly small issues, such as discussions of food or private property. Men used guns to protect the honor of their families, and this created a culture where reputation and self-assertion were essential. These values prevailed over values such as peace and harmony. This violent culture has been passed on from generation to generation, and this makes the southern temperament less inclined to accept small jokes and offenses. In the North, where there was no significant challenge of colonization and cities formed more quickly, people do not care so much about these values and tend to ignore small quibbles. To become a master in your field, you need to invest at least 10,000 hours of your life practicing. When an unstoppable person comes to success, people tend to think that they were born geniuses and were gifted with that characteristic innately. Malcolm tries to deconstruct this argument. He says that although genetics affect people’s intelligence, genius is the result of extreme dedication to practice. Using studies, Malcolm seeks to prove that the level of training that leads to mastery is around 10,000 hours. This time is approximately 3 hours a day, over ten years. Even if you are talented and dedicated, you will need many years of practice to gain mastery in your area of expertise. You will also need an environment that allows you to practice consistently for hours on end until you reach 10,000 hours. A study shows, for example, that young violinists, to develop their mastery, must first be able to pay for violin lessons and possess a decent quality instrument. Expert players, in addition to the support and motivation of their parents, have the time and space to practice dozens of hours a week. If you want to develop your mastery of something, you need to be prepared to sacrifice your social life, potential jobs, and entertainment, which means that many will never be able to reach 10,000 hours of practice. Also, luck also has an impact on your ability to achieve mastery. Bill Gates, for example, was lucky enough to have access to computers early in his life, at a time (the 1970s) when computers were scarce. He managed to achieve the famous 10,000 hours of programming, unlike thousands of other people who could have become great programmers and did not have access to a computer to practice. Imagine yourself as a skilled and hard-working young man at the time of the Great Depression in the United States. In the greatest crisis ever experienced by the country, even the most talented professionals did not have access to jobs and resources and, therefore, this generation was profoundly impaired. On the other hand, if you were born in the 30’s, after the end of the crisis, you would have ended up experiencing the recovery of the economy. In this generation, fewer people were born, and universities were offering free education for students because they had empty chairs. The year of birth is a mere matter of luck that has a significant impact on people’s lives. Another outlier is Steve Jobs. Like Bill Gates, he was born in the 1950s and had a chance to experience the explosion of personal computing in the 1970s. This fact made it possible for them to start PC businesses and become computer giants. In addition to the birth year, the economic context also matters. Gates and Jobs had several lucky situations that allowed them to be protagonists in the personal computer revolution. Another interesting example: in the 1960s and 1970s, young law graduates were rejected by traditional law firms and relegated to a less attractive market, mergers and acquisitions offices. This coincidence of fate led them to enrich and profit dramatically from the economic turn of the late 1970s when mergers of large corporations became an area of high demand and extremely profitable. Their abilities at that moment became scarce and more valuable which created a perfect match. You are much more prone to success when trying to find your place in an activity you love. The more accomplished at work, the more people feel inspired to think creatively and develop their skills. Jobs that have a purpose tend to be more difficult and challenging but also bring a greater sense of satisfaction and opportunities for innovation. The success of purposeful work had a significant impact on the lives of Jewish immigrants in the United States. As Mexican and Italian immigrants turned into domestic servants, farmers, and production lines for most of their lives, Jewish immigrants chose a different path. Jewish culture is extremely focused on the community and also in the trade. Therefore, Jews opted to start entrepreneurial careers, open businesses and use them to strengthen their community. They created their venture and factories, which gave them the autonomy to better understand the American context and to find new opportunities, growing their economic power in the United States. Another interesting aspect of immigrant culture in the US is the tendency to value its history and preserve it. Newcomers teach the importance of hard work to their children, and this creates a positive impact on their careers in the future. This tradition has allowed several generations, after humble arrival in the USA, to succeed in forming successful entrepreneurs, as well as millions of doctors, engineers, and lawyers. In a famous experiment focused on tracking the lives of genius children with IQs over 140 points, an interesting finding has emerged. Many of them failed, despite the potential, often ending up unemployed. Children who were unsuccessful did not have the benefit of having a family environment that helped them develop their skills. Another emblematic example is the American man with the highest IQ in the country but who has worked as a nightclub security guard for almost 20 years. The way you raise your children and your family environment have a great impact on your future. For example, middle- and upper-middle-class children tend to interact more with people and talk about their opinions and interests. In poorer families, because parents have to stay out of the house and leave the children alone, they tend to grow up with less coexistence than other kids. This lack of socialization leads to greater communication difficulties in the future. Present parents raise children to become successful adults, while more absent parents tend to help children develop better socially. When parents are less present, children tend to feel more comfortable in different environments. On the other hand, they have more difficulty seizing opportunities and harnessing their talents to the fullest for their success. Yes, one’s IQ is an advantage in their lives, but this impact is much less than we tend to believe. From 120 IQ points, more points do not increase your chances of success. Malcolm noted in the racial quota policies of some American universities. Although black students are less qualified than whites at the time of college admission, they tend to have the same level of success as their white peers after graduation. The phenomenon repeats in the selection of students for the group of the best universities in the United States, the so-called Ivy League. The best schools, like Harvard, do not rate students on IQ. Students of the most diverse intellectual levels are accepted and what matters is the previous notes and the achievements. Being a genius does not automatically put you in the top universities and is not a guarantee of success. Another important aspect is that creativity plays a crucial role in achieving significant achievements, innovation, and inventions. Nobel Prize winners, for example, do not always have genius level IQs. Their creativity allowed them to create something new and considered as essential by the award evaluation committee. Ever heard anyone mention that Japanese and Chinese are ninjas in math? Do you think they are born with a gift for it? The truth is they live in a work-driven culture in which success is believed, for generations, to result from hard work and effort. Since agrarian times, an effort is valued and taken very seriously in rice crops in Asia. The process of cultivating rice is meticulous, intricate and delicate, which has formed a cultural component that affects the way students view work and also mathematics. Mastering mathematics has much more to do with attitude and discipline than with student fitness. To solve complex problems, it takes persistence and optimism, cultural characteristics of Asia that help Eastern students. Just like in rice crops, they make the necessary effort, wait and adjust until harvest. Another important aspect is that in the East, the numerical system is much more intuitive. Most airplane accidents occur due to technical errors and mechanical problems, usually during landing or takeoff. It is almost never just a single cause. Most of the time, accidents occur due to a sequence of errors together. One of the biggest factors is the human failure. Most failures are of human origin, even when pilots, who have gone through thousands of hours of training, have experience and certifications. The most common mistakes made by pilots relate to the communication between them and traffic controllers on the ground. If an emergency situation occurs, communication has a vital role in correcting the problem and for passengers to land safely. It is necessary to coordinate all communication between ground staff, pilots and onboard crew of the airplane for success. Language barriers also cause accidents. If the pilot comes from a culture that traditionally expects greater respect for authority, there is a greater propensity to abide by the directives of traffic controllers. They also have more difficulty communicating the gravity of the situation when needed. Only by improving the fluency of pilots in English, the international language of aviation, and training them with the proper terminology, can you dramatically reduce the risks and potential accidents caused by communication failures. 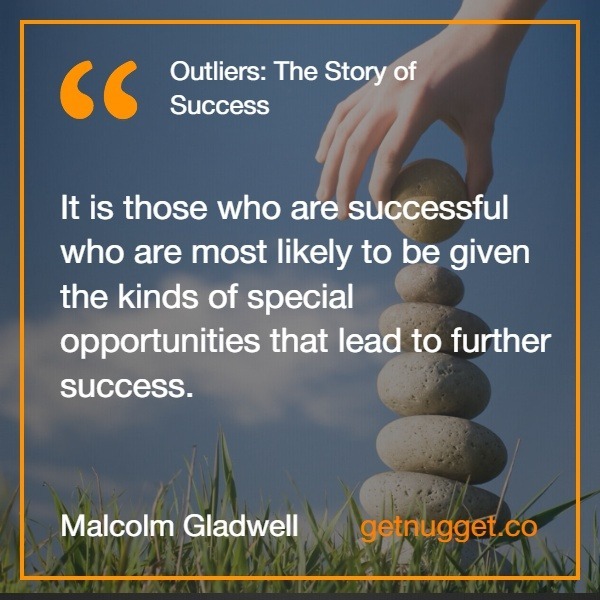 Outliers is a book that helps us to understand a little more about the history of success and also understand what components are inside and outside our control. The opportunities a person has may be influenced by seemingly irrelevant factors, such as the place, year, and month in which he or she was born. However, it is also evident that the road to success demands sacrifices. 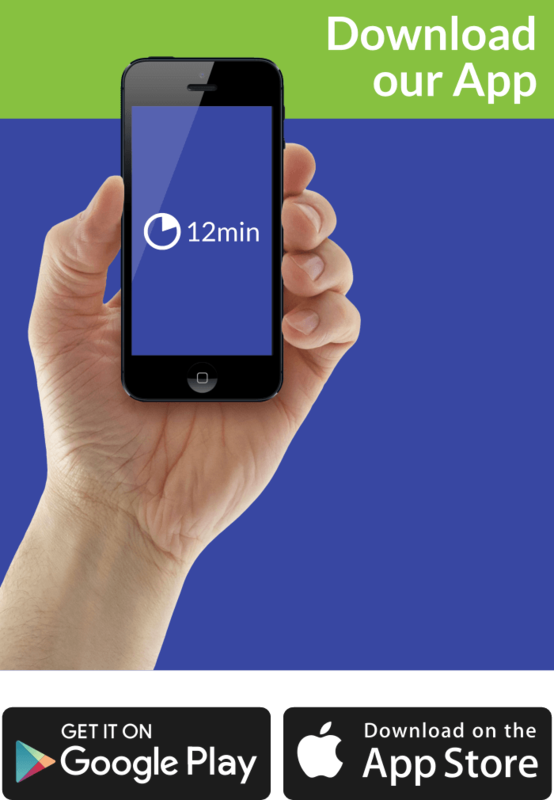 With 10,000 hours of practice, your chances of mastering a skill increase dramatically. By understanding these factors and learning about outliers, we can learn a lot and know what factors we can control in the quest for our success.